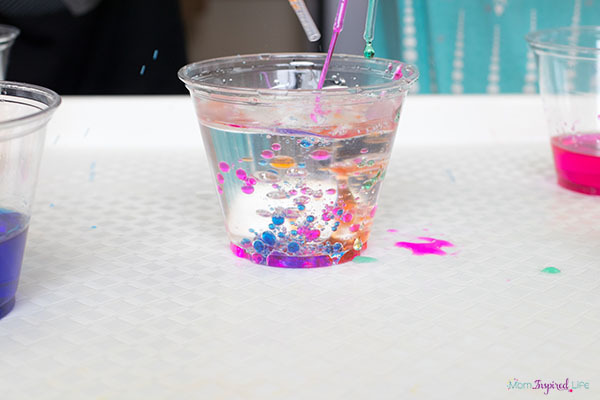 We’re definitely adding this oil and water science exploration to our growing list of science experiments for preschoolers. But even older kids will enjoy it too! 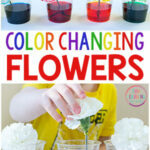 So if you are looking for a quick and easy science exploration for kids, then you have to check this one out. 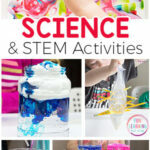 Plus, check out this list of our favorite science activities for kids. My kids (4 and 6 years old) get really excited when I set up a science experiment for them and this activity didn’t disappoint. Who am I kidding? Any time they can squirt water with droppers, they are happy as a clam. 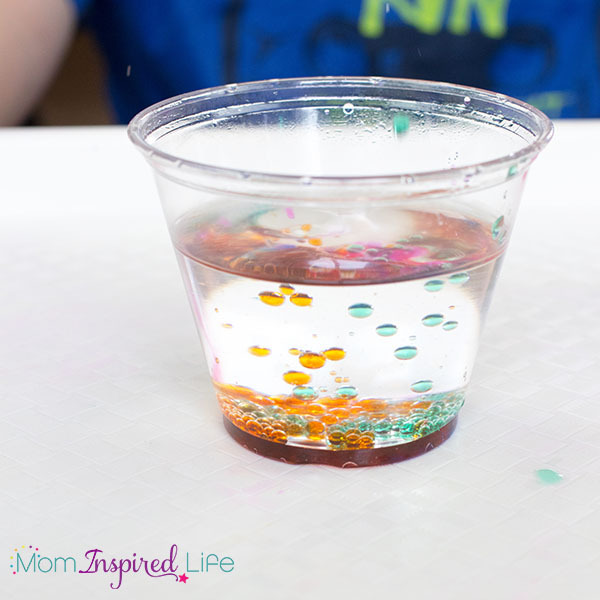 Totally Cool Oil and Water Science Experiment! They actually did this oil and water science experiment several times on this particular day and are already talking about doing it again. 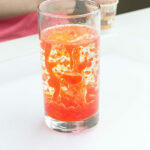 They still LOVE our lava lamp science experiment best, but this one is definitely a keeper. 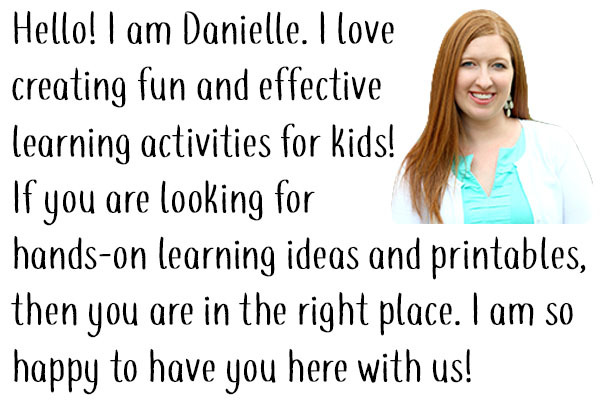 It is very simple to set up this activity. You only need a few supplies that you probably already have around the house. *If you decide to use baby oil and watercolors, make sure your kids won’t put this in their mouths! 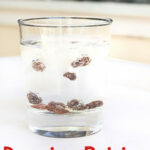 As always, keep a close eye on your kids any time that you are doing a science experiment. 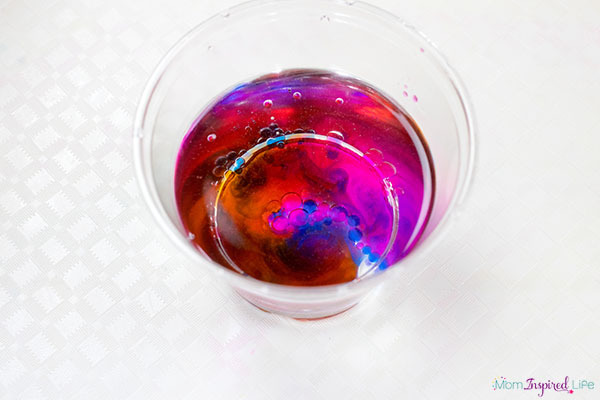 Put water in several cups and add food coloring or liquid watercolors to the water. Then stir to combine. Place a pipette in each colored glass of water. Fill a cup about half way with oil. 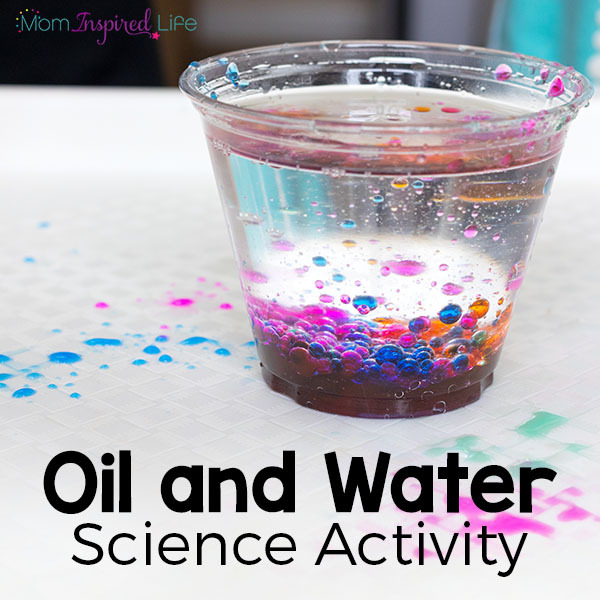 Now let the kids have fun exploring oil and water! 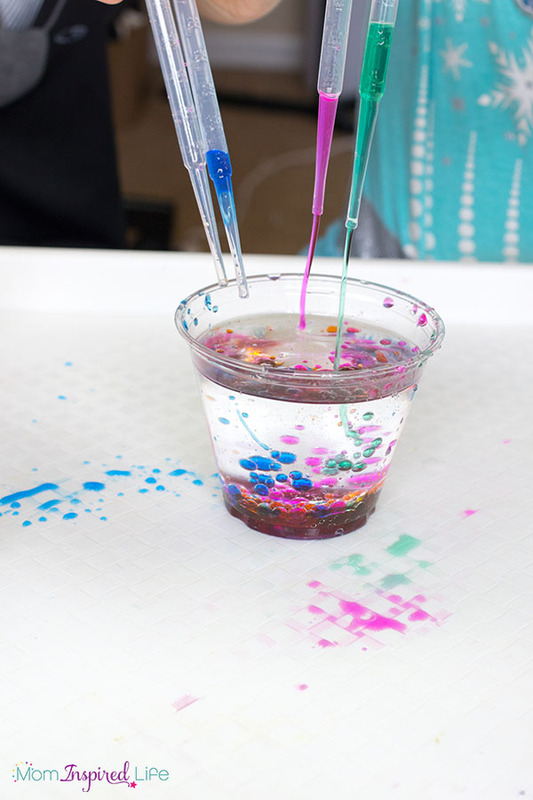 While enjoying this science exploration kids will explore how oil and water do not mix together. 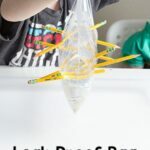 For young children, there is no need to fully explain the concept behind it, but it is a great start to simply explore the two liquids and see how they behave when mixed together. 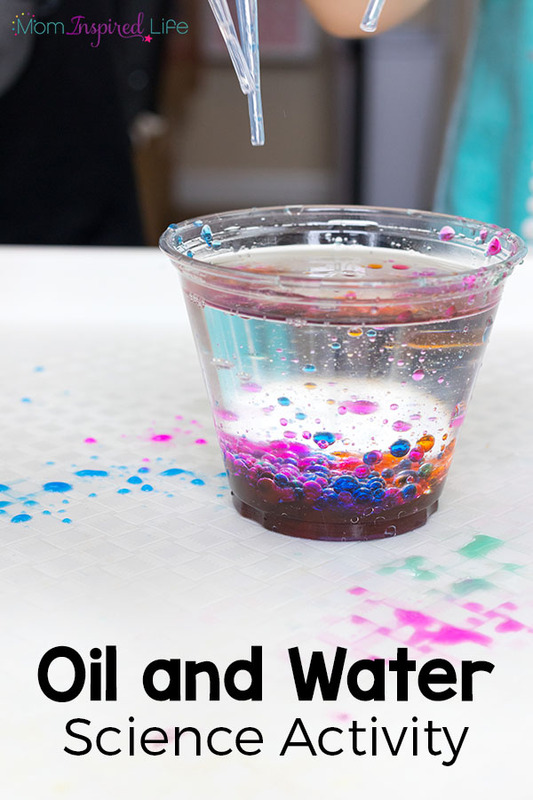 For kids in early elementary you can explain that oil molecules are only attracted to other oil molecules and water molecules are attracted to water molecules. So they don’t mix together. The reason the oil floats on top is because the oil is less dense than water. 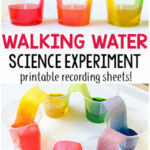 Check out some more oil and water science investigations!